There are just a few more days to go until North American fans can bash slimes all over again in Dragon Quest IX, and within a few weeks GameStops up and down the country will be hosting an event to grant gamers a Special Event Map. To get involved it's very simple. Head to a participating store on the 31st of July between 1pm and 4pm to take part; just make sure you've unlocked Quester's Rest in Stornway, as you won't be able to receive the map without it. Don't forget that, if you're in the New York area, you can head over to Nintendo's Dragon Quest IX launch party this Saturday to meet the series' creator and eat some Dragon Quest ice cream. What could be better? Awesome, all the more reason to get this the day it comes out. you always run into some strange people at these Events. I wonder what the map is for? I have to get this game. Have not played a DQ since 4! Of the 3 Gamestops here only the one in the mall is hosting the event. I hope I can pick this up before then. Sweet! I'll get it if I can remember. Awesome. In the words of Beavis: "We're there, dude, heheh, hmmhmm!" 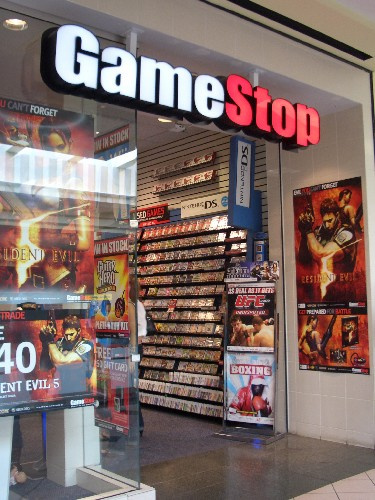 I called up my local GameStop today and they told me that they are doing it. That map is as good as mine. Sweet! I can't wait to print out copies on the web that were scanned by the 3 people who actually got it! I haven't really played a full out dragon quest, here on the ones I have played. And last but no where close to the least, Dragon Quest Rocket Slime FTW. For those of you who don't know, this map is actually a downloadable map and not a physical item. This event is similar to the Pokemon DLC events. Simply bring your game with your DS system and download the map. Just call your local GameStop store to see if they are participating in this event. Good promotion but I'm not going to buy anything on a Gamestop. After 5 times in a row paying for pre-ordering a game and not received the item I decided stop buying there. Also they are usually rude, unfriendly and their knowledge about videogames is very limited. That just my personal opinion, have fun if you go to the event! Oh sweet, when you think about it, getting there early and hanging out the entire day will be blast. Tagging and playing with other players is gonna be epic!